On The 21st: Nearly a hundred years ago, the 18th amendment to the US constitution banned liquor. During that time, some anti-liquor advocates teamed up with the KKK to target Italian and French immigrants. Plus, 'Passive houses' are insulated eco-friendly homes which need almost no heat or air conditioning, and in the U.S., they started in Urbana. We also speak with the Rock River Valley Pantry about how the freezing weather affects people who need their services. But first, every day, 30 million students across the country get their lunch at school. But what happens when the school year ends? Every day, 30 million students across the country get their lunch at school. Two out of three of those lunches are free. That’s according to 2017 numbers from the USDA. But what happens when the school year ends? Here in Illinois, only 15 percent of kids who get school lunch during the year receive a free or reduced lunch during the summer. The Illinois State Board of Education has been working on this disparity through their Summer Food Service Program. This program helps provide meals at more than 2,000 sites in our state. But, ISBE says more sites are needed to solve this problem. Joining me on the line from Springfield we had Megan Kuchar from the Nutrition Division at the Illinois State Board of Education. Also on the line was Kim Minestra who is the Director of Nutrition Services for Evanston Township High School. “We always say the summer can be the hungriest time for kids and the most expensive for parents,” says Megan Kuchar from @ISBEnews. 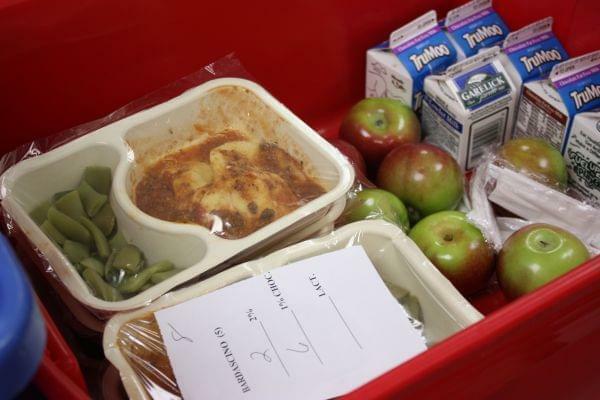 ISBE has more than 2,000 sites statewide serving summer meals, but they say more are needed. What comes to mind when you think about Prohibition? Maybe you think about jazz, speakeasies, or even gangsters like Al Capone? Well, there was a lot more to it than that, including anti-immigrant violence in many American cities and towns. In many cases, they were led by the KKK, which actually grew in numbers during Prohibition. One particularly dark chapter in this history took place in Williamson County, just east of Carbondale. What happened there and, how the public pushed back, can tell us a lot about today’s political climate. Lisa McGirr first wrote about this in an opinion piece for the New York Times. She’s a professor of history at Harvard University, and author of the book The War On Alcohol: Prohibition And The Rise Of The American State. "Prohibition offers the Ku Klux Klan an opportunity to sell itself to white, protestant, evangelicals as a law enforcement organization. If the police weren't going to do their jobs, they would step in." - @LisaM_McGirr on how the KKK became involved in Prohibition efforts. There have been some crazy ups and downs with this weather which can really wreak havoc on your heating bill. Every year around this time, Niala thinks of University of Illinois law professor Suja Thomas. Even when we had our polar vortex temperatures recently, she still hadn’t turned the heat in her house on, and it was still 75 degrees inside her house. That’s because she lives in what’s called a “passive house”. It’s especially built to not need external heating or cooling systems. Last year, when Niala first heard about her house, Suja went over for a tour. We wanted to take a look at what the winter weather means for food banks in our state. Jim McFarlane is the volunteer coordinate for Rock River Valley Pantry in Rockford. He joined us on the line from there.